With RICH AND FAMOUS we offer a workshops series for freelance and employed photographers participated in. The project, funded by the European Social Fund (ESF) and the City of Berlin, imparts professionally relevant knowledge that supports participants in successfully asserting themselves in the competitive market of the art and media industry. Treated are e. g. financing of free photographic projects, project management, access to the art market, collaboration with clients and picture editors. 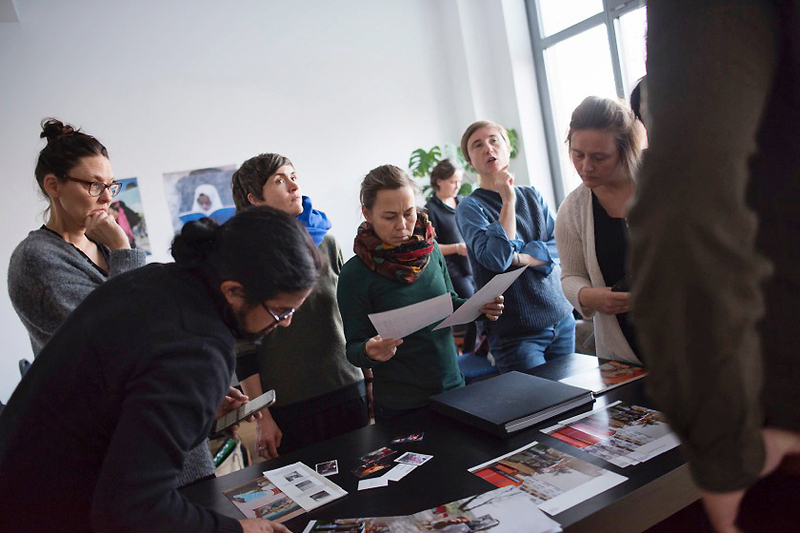 The Workshops take place at f3 – freiraum für fotografie. All workshops will take place Mon + Tue. : 11 am – 6 pm. Please klick here to send us your application. RICH AND FAMOUS wird gefördert aus Mitteln des Europäischen Sozialfonds (ESF) sowie das Landes Berlin.